Ruth is the company Administrator for Immagine Australia and New Zealand, taking care of all the logistics and planning. She has been working in the migration industry for so long [since 1992] that it is difficult to imagine her prior career but her working life started as a Buyer in South Africa. 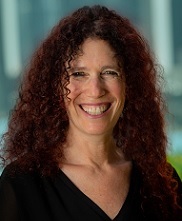 Ruth migrated to New Zealand from South Africa in 1992 and formed Protea Immigration Consultants in partnership with her husband, Myer Lipschitz. When the company merged with Iain MacLeod in 1998 to form Protea Pacific Limited Ruth's role was very much the same, namely Administrator and Bookkeeper. When Ruth and her family immigrated to Australia in 2008 she continued in a similar role with IMMagine Australia and New Zealand. Ruth and Myer have three Kozzies (Kiwi Aussies) aged 17, 19 and 21 and between the three boys and work she has a busy but rewarding life.